There are so many ways that we can use couponing for good. Around the holidays I want to encourage you to step up your couponing with a goal of donating more. 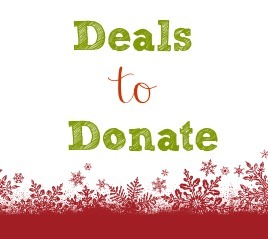 Whether you grab deals to pack Operation Christmas Child boxes, pack toiletry bags for battered women, or help struggling families get food on the table, there are so many people who need help you have the means to help in huge ways! Here’s a list of what you can grab this week for pennies. The items may not seem fun, but they are needed and will be accepted gratefully by so many.